KESHENA, Wis. — Members of the Menominee Indian Tribe have endorsed the possible legalization of marijuana for medicinal and recreational use on their northeastern Wisconsin reservation, the tribe announced Friday. In what tribal leaders called an advisory vote, about 77 percent of members voting said they backed medical marijuana. The vote was closer on recreational use, with about 58 percent of voting members saying yes. Chairman Gary Besaw said tribal legislators will now study whether to move forward on both issues. He didn’t have a timetable for how quickly that might happen. 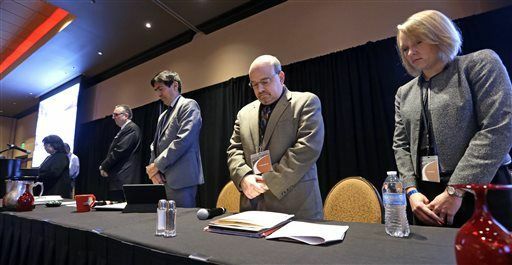 Asked whether the tribe would consider commercial sales — selling marijuana to non-members — Besaw said only that the tribe would defer to the U.S. attorney’s office in Wisconsin in interpreting the Justice Department’s 2014 memorandum. In South Dakota, where the Flandreau Santee Sioux has announced plans to develop a pot-selling operation, the U.S. attorney has warned that non-Indians would be breaking the law if they consume pot on the reservation. Greg Haanstad, the acting U.S. attorney for the Eastern District of Wisconsin, had no comment, a spokeswoman said. Besaw noted the easier vote on medicinal marijuana. About 13 percent of the tribe’s 9,000 members cast ballots. The possibility comes on the heels of the tribe’s unsuccessful effort to open a casino in Kenosha. 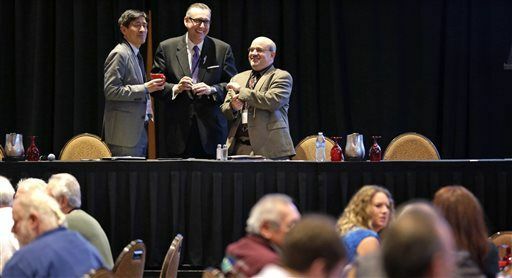 TULALIP, Wash. (AP) — Tribal representatives from around the country are converging in Washington state to discuss the risks and rewards of marijuana legalization. Tribes have been wrestling with the issue since the U.S. Justice Department announced in December that it wouldn’t stand in their way if they want to approve pot for medical or recreational use. 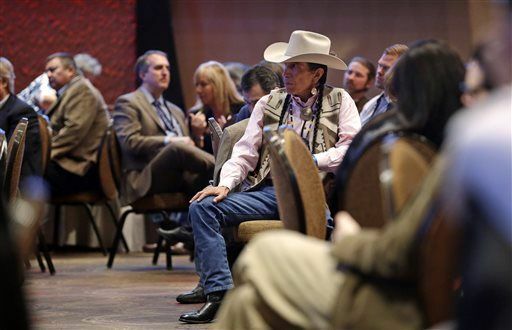 The agency said tribes must follow the same law enforcement priorities laid out for states that legalize the drug. 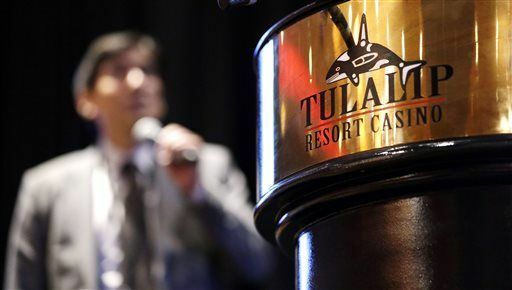 Representatives of dozens of tribes are attending a conference Friday at the Tulalip Indian Tribe’s resort and casino north of Seattle. Topics under discussion include the big business potential for pot, as well as concerns about substance abuse on reservations and the potential creation of a tribal cannabis association. Legal recreational marijuana goes on sale for the first time in Washington on Wednesday. Tuesday will be the first day that Washington stores can legally sell recreational marijuana. Even though the state has been preparing for this day for nearly two years since it passed Initiative 502, it still could be unclear to some people exactly what the rules surrounding pot are. Who can buy marijuana and how much can they possess? Anyone over the age of 21 can legally buy and consume cannabis in Washington. Yes, that includes non-Washingtonians too. The state’s Liquor Control Board, which is responsible for overseeing the implementation of I-502, says it plans to keep a close eye on retailers so the drug doesn’t end up in the hands of anyone underage. Stores selling marijuana even have to post signs saying that’s what their business does and no one under 21 is allowed to enter. Adults who can legally buy marijuana can purchase up to 1 ounce of plant material or 72 ounces of marijuana-infused liquid, such as oils. It’s also legal to buy as much as 16 ounces of edible pot products, such as cookies or brownies, but officials at the state Liquor Control Board say no vendors in the state have yet obtained all of the licenses necessary to sell edibles — so, they won’t be in stores initially. Where will marijuana be on sale? The state issued 24 licenses to retailers across the state on Monday. WLCB officials alerted the stores via email early in the morning that they could begin receiving product from growers. More stores should receive their licenses on a rolling basis after Monday. The state has said it plans to issue a maximum of 334 store licenses in the first year, and has compiled a list of lottery winners for those permits. Of the nearly 200 stores in Seattle that applied for a license, only one — Cannabis City — received approval Monday morning. State officials say that’s because many stores there simply failed to meet licensing requirements in time. Customers near Puget Sound will also have options available in Bellevue and Tacoma. Elsewhere in the state, stores could open as soon as Tuesday in Bellingham, Kelso and Spokane. The full list of retailers who received the state’s first licenses is available online. Locally, two stores in Vancouver made the licensee list and will open their doors to customers this week: Main Street Marijuana and New Vansterdam. The Columbian reports that the former plans to open its doors to customers on Wednesday after a ribbon cutting ceremony with Mayor Tim Leavitt. They want to open their doors around 11 a.m. New Vansterdam is shooting for grand opening on Friday. Where is it legal to use marijuana? This is an area where it’d be easy for marijuana users to run afoul of the law. I-502 makes it illegal to consume pot in public view. That means no visits to nearby parks, no smoking in your vehicle, and definitely no sampling product inside a marijuana retailer. The Seattle Police Department gives a good rule of thumb and describes it like open alcohol container laws. Basically, don’t use pot anywhere you’re not specifically allowed to do so. You may not get arrested just for public consumption, but you can receive a fine. And while we’re on the topic of consumption, Oregonians and other out-of-staters should be aware that crossing state lines with Washington pot isn’t legal. I-502 does allow residents of other states to buy cannabis, but it has to be consumed in the state. If you try to take pot out of Washington, expect to face the penalties for drug possession in whatever state you enter. Will legal marijuana be cheaper than stuff on the black market? No, at least not initially. Supply is still pretty limited in the state, which means that demand — aka prices at the register — are probably going to be steep. But Hamide also said he expects those prices to go down to near street costs in the weeks and months after the first sales as growers throughout the state begin to meet demand. Does I-502 change state DUI laws? It’s still illegal to drive while under the influence of marijuana or any other intoxicant. If you get pulled over by an officer, they can conduct a field sobriety test on you to see if you’re intoxicated. Because there aren’t yet any fancy tools — such as a Breathalyzer for alcohol — to figure out if you’re high, the officers can take you back to the station and seek your permission for a blood test if they think you’re driving high. That goes for medical marijuana too. And if a driver gets in an accident while driving high, those blood tests are mandatory. Much like Washington’s blood alcohol content limit of 0.08, anyone caught with a blood concentration greater than 5 nanograms of THC (the active compound in marijuana) will be given a citation for driving under the influence. There are lots of questions that aren’t answered by this list. The sale of recreational pot is relatively uncharted water in the U.S., and the legalization in Washington is different in many ways to the legalization in Colorado. The best source for answers to questions on pot sales in the state is the Liquor Control Board’s website.